BACKGROUND : Leukotrienes B4 (LTB4) and eotaxin-1 are thought to play a pivotal role in the pathogenesis of asthma. This study investigates the plasma levels of LTB4 and eotaxin-1 in symptom-free asthmatics on inhaled corticosteroids (ICS) and long-acting β2 (LABA) . MATERIALS AND METHODS : Twenty asthmatic patients treated with ICS and LABA for 3 months and 17 matched healthy subjects were recruited. LTB4 and eotaxin-1 were measured in the serum by a specific enzyme immunoassay kit. RESULTS : Treatment resulted in significant improvement in FEV1 and disappearance of symptoms. 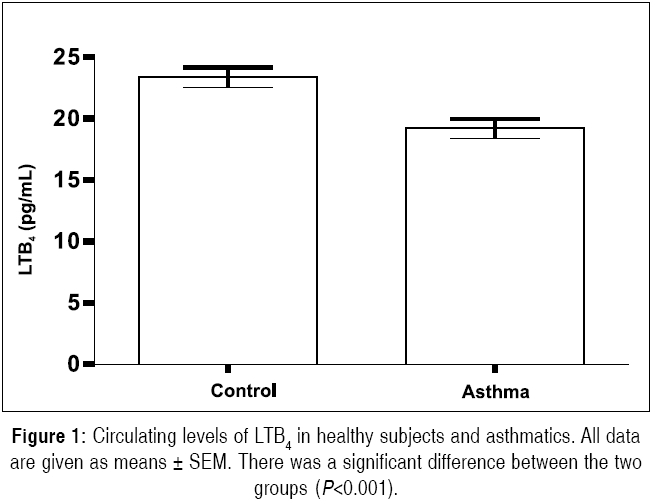 LTB4 levels were significantly lower in the treated asthmatics compared to the healthy subjects (19.17 ± 0.8 pg/ml versus 23.34 ± 0.82 pg/ml respectively, P <0.001). However, there was no significant difference in the levels of eotaxin-1 between healthy subjects and asthmatic patients. CONCLUSION : Asthmatics treated with ICS and LABA showed significantly lower levels of LTB4 compared to healthy subjects. Regular use of inhaled corticosteroids and long-acting β2 may help in controlling the inflammatory process in asthma. Further studies are needed to confirm these findings and assess the association between clinical and physiological parameters and circulating chemokines and cytokines. PURPOSE: To determine the incidence and factors associated with unplanned extubation (UE) in the intensive care unit (ICU) and its relationship with nursing workload. MATERIALS AND METHODS: A retrospective case-control study was carried out within a cohort of ventilated patients in two teaching hospital medical-surgical ICUs. A total of 50 adult patients with UE were studied. 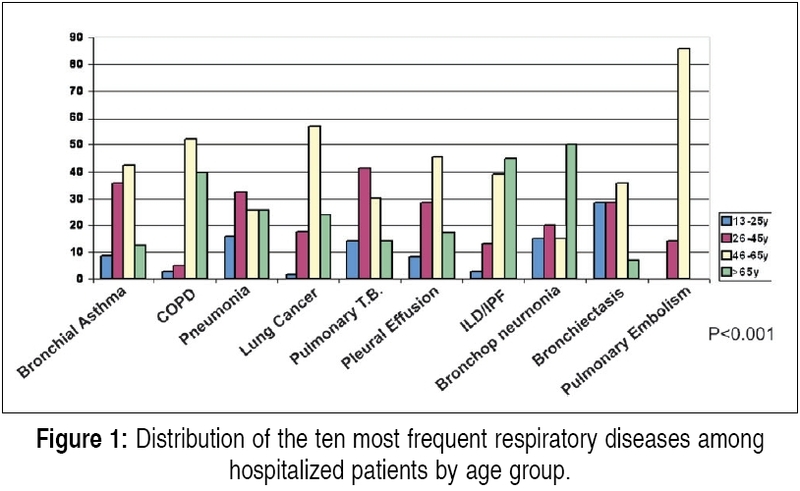 Controls were subjects without UE who were matched to the cases on the following Five factors: age, gender, admission diagnostic category, admission date (within 3 months) and duration of mechanical ventilation. Other data including patient demographics, comorbid conditions, APACHE III score, ventilation parameters, use of sedation, re-intubation, mortality rate and ICU/hospital length of stay were collected. Nine equivalents of nursing manpower use score (NEMS) and multiple organ dysfunction score (MODS) were calculated in both, cases and controls, 24 h before and after the event. RESULTS: Sixty-eight episodes of UE occurred in 66 patients during the 24-month study period (1.1%). Patients with UE were more agitated ( P <0.001) and required higher doses of benzodiazepines ( P =0.023) than their controls. UE was associated with a higher rate of re-intubation compared to the control group ( P <0.001) but was not associated with a longer length of stay in ICU or hospital or excess mortality ( P >0.05). 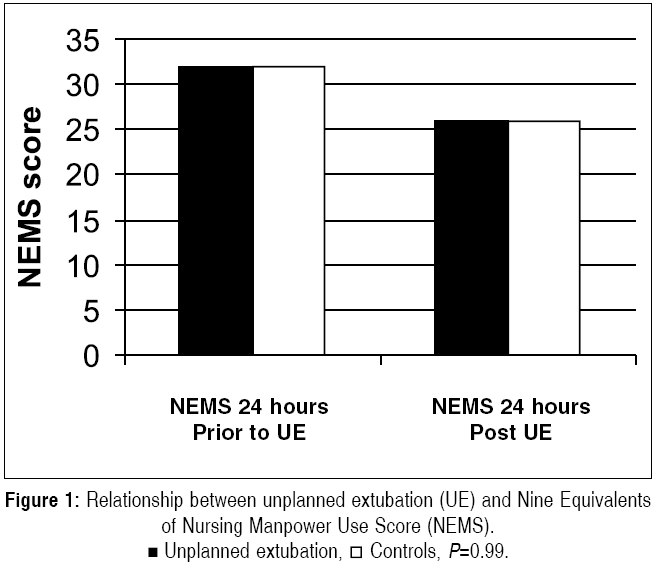 The mean NEMS were not significantly different between the two groups 24 h before ( P =0.69) and after ( P =0.99) the extubation event. Also, the mean MODS were similar between both groups 24 h before ( P =0.69) and after ( P =0.74) extubation. CONCLUSION: In this study, agitation and greater use of benzodiazepines were frequently associated with UE and potentially can be used as risk factors for UE. We have found no significant impact of UE on increasing mortality and, in a manner not shown before, nursing workload. 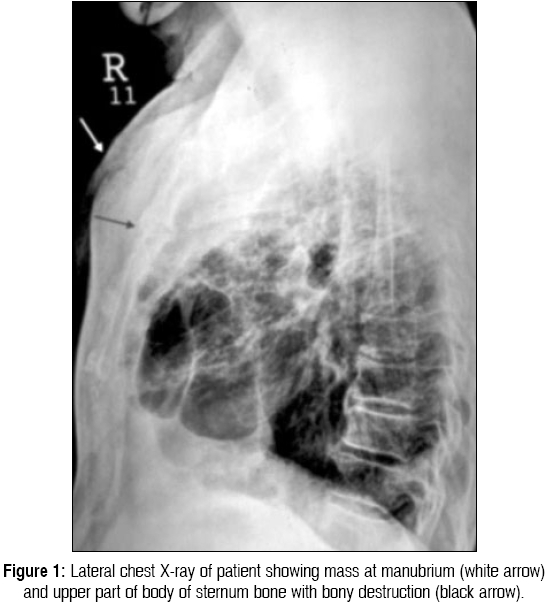 Williams-Campbell syndrome was first described in 1960 as a rare form of bronchiectasis. 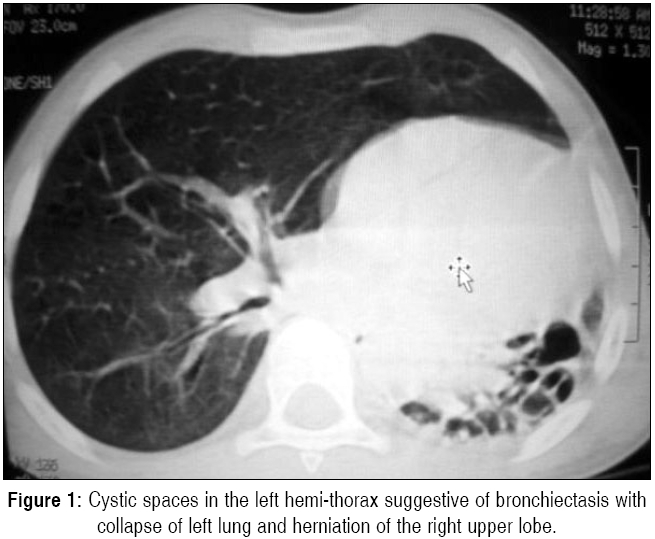 Its pathogenesis is characterized by the absence of or markedly diminished bronchial cartilage. We describe a case of a 4-year-old male child in whom respiratory symptoms developed in neonatal period and were found to have histopathological changes consistent with Williams-Campbell syndrome. A brief review of literature has been discussed. Emerging literature about venous thromboembolism (VTE) increased our understanding of the risk factors, diagnosis, therapy and prophylaxis of this serious medical condition. In this review, we examine new studies on the incidence and the risk factors for VTE in the critically ill patients, diagnostic approaches to VTE, the relation between VTE and cardiovascular risk and duration of therapy. Also, we will review the new evidence on the use of electronic reminders to improve the adherence to VTE prophylaxis and the risk of heparin-induced thrombocytopenia in patients receiving pharmacologic prophylaxis for VTE.